The AHA and American Diabetes Association said in July 2012 that artificial or non-nutritive sweeteners could be a good option to help people reduce calories and added sugars from their diets. In turn, you may even lose some pounds with these kinds of sweeteners -- as long as you weren't making up for it later in the day by eating more sweets, which some studies have showed. "It is not uncommon for people to be given messages that artificially-sweetened products are healthy, will help them lose weight or will help prevent weight gain," author Susan E. Swithers, a professor of behavioral neuroscience at Purdue University in West Lafayette, Ind., said in a press release. "The data to support those claims are not very strong, and although it seems like common sense that diet sodas would not be as problematic as regular sodas, common sense is not always right." 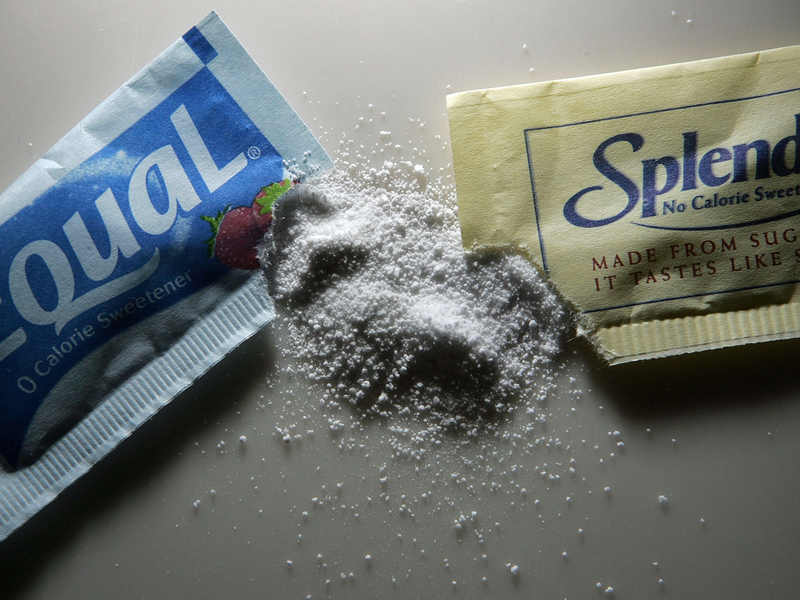 About 30 percent of adults and 15 percent of children in the U.S. currently use artificial sweeteners, Swithers said. A study in August 2012 revealed that more children are drinking artificially-sweetened beverages. From 2007 to 2008, the rate of children consuming the drinks doubled from the prior decade. Artificial sweeteners were also shown to activate different patterns in the brain's pleasure centers that normally correspond to sweet tastes. This may mean that these products do not satisfy our sweet tooth as much as natural sugar. One study found non-caloric sweeteners made animals eat increased amounts of calorie-rich sweet tasting food. In the end, the animals exposed to artificial sweeteners gained more weight. Other evidence showed that consuming artificial sweeteners often leads to weight gain. The authors believed the artificial products confused the body's ability to regulate calories based on tasting something sweet. Another study revealed a link between diet soda drinking and weight gain over time. For each diet drink the subjects consumed per day, they were 65 percent more likely to become overweight during the next seven to eight years. "These studies suggest that telling people to drink diet sodas could backfire as a public health message," Swithers said. "So the current public health message to limit the intake of sugars needs to be expanded to limit intake of all sweeteners, not just sugars." The American Beverage Association spoke out against the report, saying that the author failed to cite a number of scientific studies that show that low-calorie sweeteners are safe and can be beneficial in weight loss and weight management. "This is an opinion piece not a scientific study,"" the ABA said in a statement. "Low-calorie sweeteners are some of the most studied and reviewed ingredients in the food supply today. They are safe and an effective tool in weight loss and weight management, according to decades of scientific research and regulatory agencies around the globe."